First worked for William Ramwell, Solicitor. Admitted as a Solicitor in February 1879 and went on to found the firm Cooper, Nelson & Hamer in Silverwell Street, Bolton which has continued to trade in various incarnations to the present day. Represented Exchange Ward 1891-1909. Alderman for Astley Bridge Ward form 1910. 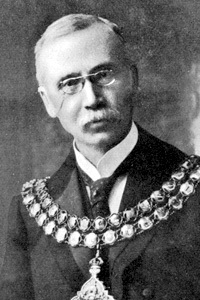 He was Vice Chairman of the Waterworks Committee 1896-1904 and Chairman from 1904. Under his Chairmanship the Waterworks Committee embarked on an ambitious scheme to expand the reservoir system and in June 1908 he cut the first sod at Delph Reservoir. He was the first Liberal Mayor since 1868 and a 'Coronation' Mayor - George V being crowned on 22 June 1911. 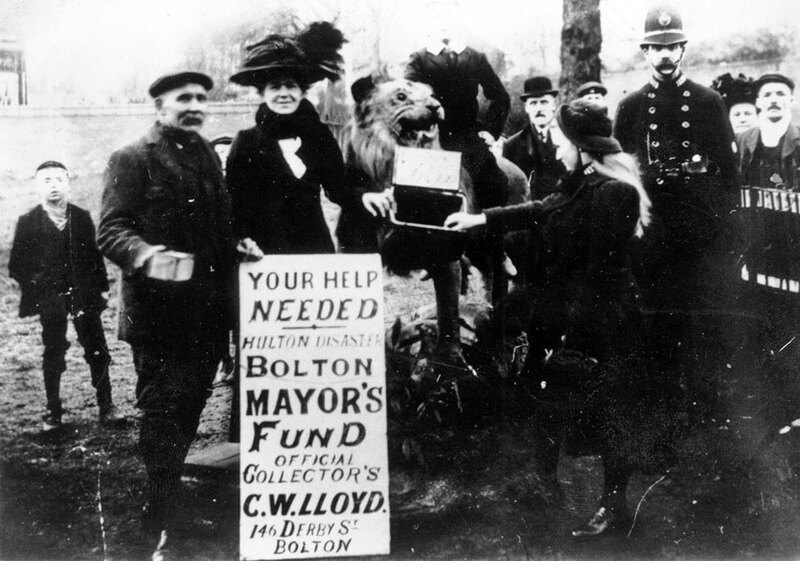 He was also Mayor at the time of the Pretoria Pit disaster of 21 December 1910 and launched a Mayoral Fund which raised £159,000 for the relief of the families of the men killed and injured. Re-opened Mere Hall Library on 29 April 1911 after its reorganization. One of the most unusual presentations he made as Mayor was to William Wales, hairdresser of Nelson Square, on the occasion of his 70th birthday. He presented Mr Wales with framed photographs to commemorate his birthday and to mark 50 years work as a hairdresser. It was said that for over half a century many of the best known men in Bolton, including several Mayors had visited his saloon. 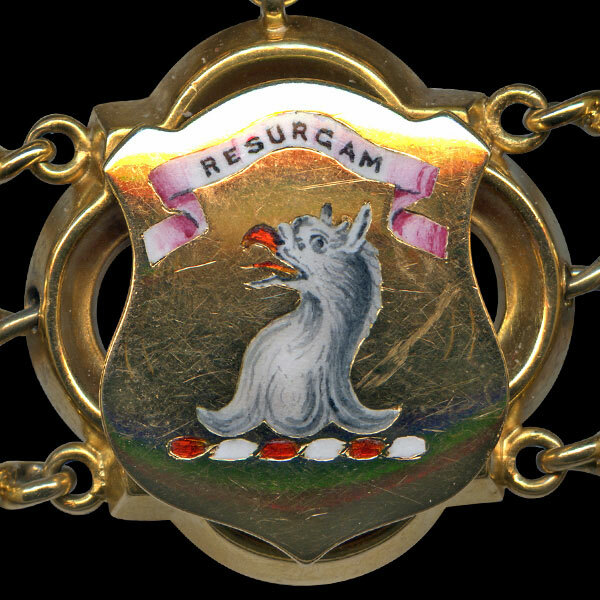 Chairman of Overseers for the Poor 1900-28 and Member of the Guild of Help for Derby Ward. Chairman of the local Committee of the National Insurance Scheme 1912-29. Served on the Juvenile Employment Board. On the Board of Management of Bolton Savings Bank from 1915. Freemason - Anchor and Hope Lodge. Congregationalist - he worshipped at St George's Road Congregational Church. His wife, Charlotte, was Mayoress. 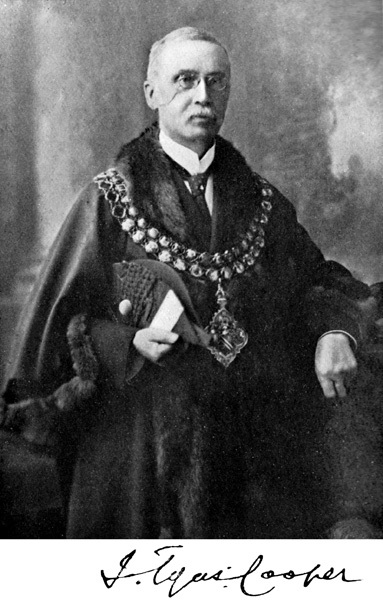 Formal portrait of Joseph Tyas Cooper as Mayor of Bolton. Bolton Corporation Tramway Committee 1910. Joseph Tyas Cooper as Mayor of Bolton is seated in the middle of the front row with top hat and Chain. 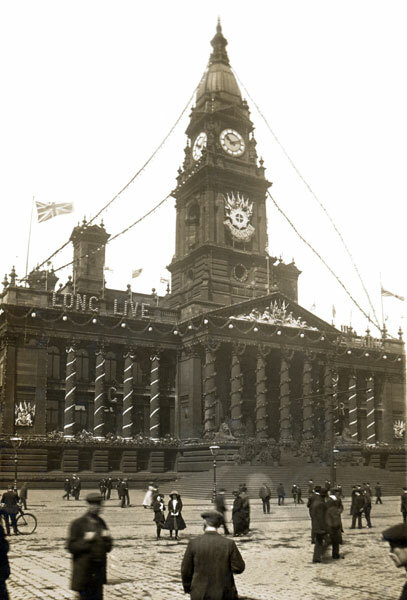 Bolton Town Hall decorated for the Coronation of George V on 22 June 1911. 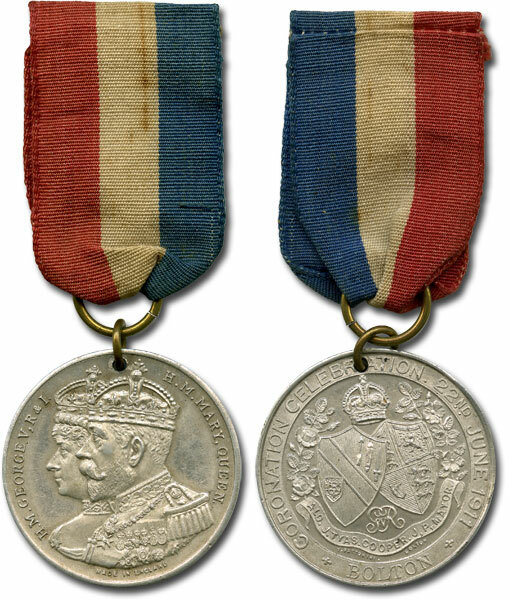 Commemorative medal issued by Bolton Corporation to mark the Coronation of George V on 22 June 1911. 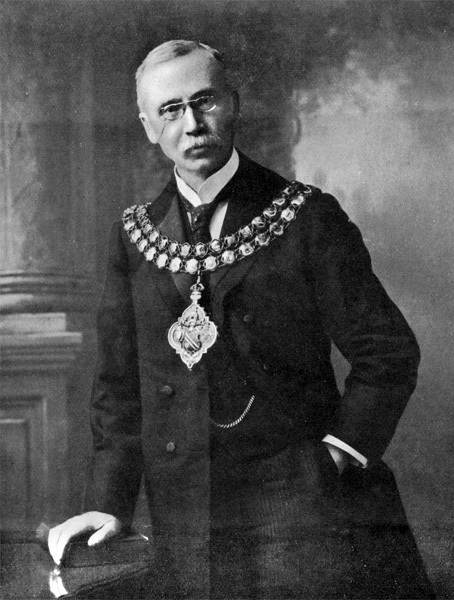 Joseph Tyas Cooper's link on the Mayor of Bolton's Chain of Office. Crest = On a wreath gules and argent a griffin's head erased argent beaked and langued gules.